So sweet! I grouped students and gave each a different color piece of construction paper. 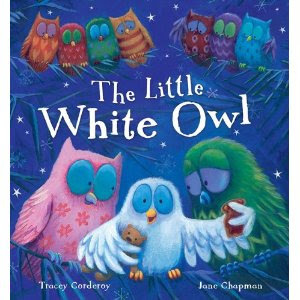 One student in each group got a white piece. 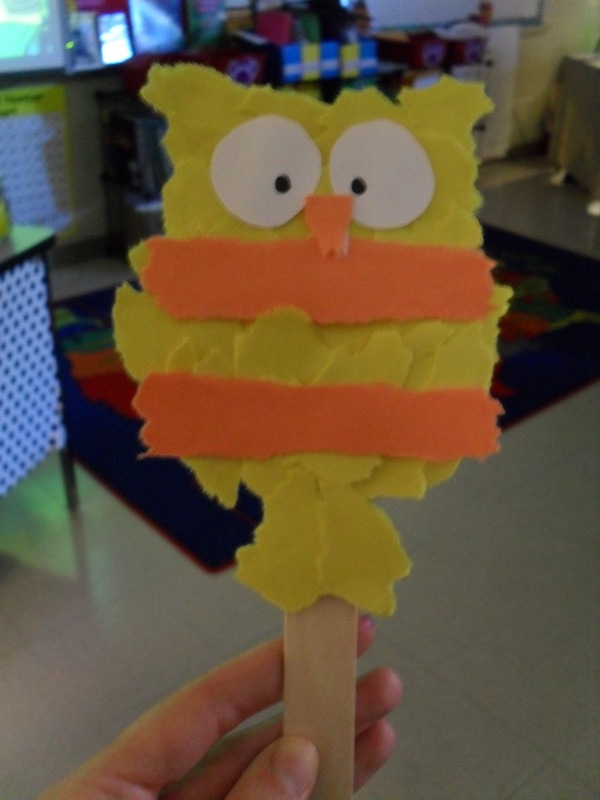 I also gave each a secondary color to add to their owls. We tore the construction paper and pasted it onto an owl template I found online. 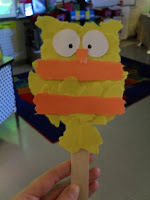 Then, we glued them to popsicle sticks. 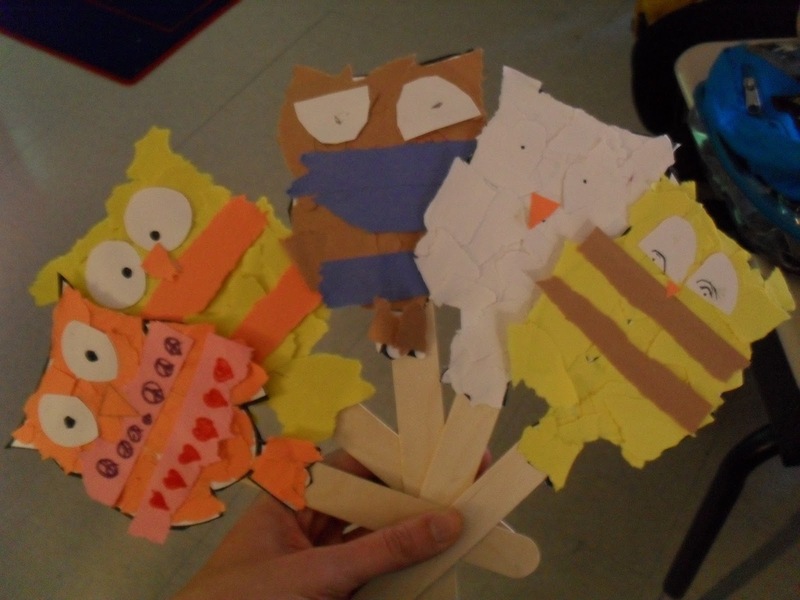 I let each group retell the story with their puppets when they were finished. The kids loved it! They turned out really cute and covered a common core standard, so win, win! Click below to grab the writing prompt. 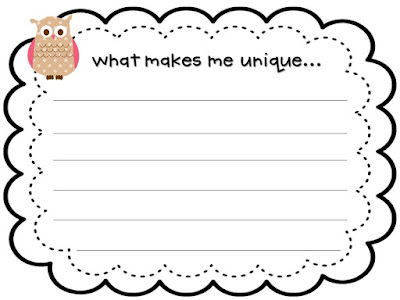 Would you share the owl template...too cute!I love this book! I just searched for clipart on the Internet, they cut it out, and then they pasted the paper on. Hope this helps! Those owl puppets are just precious. Love your blog title too. I have searched to find this book and Barnes and noble couldn't order it. Where did you get it? 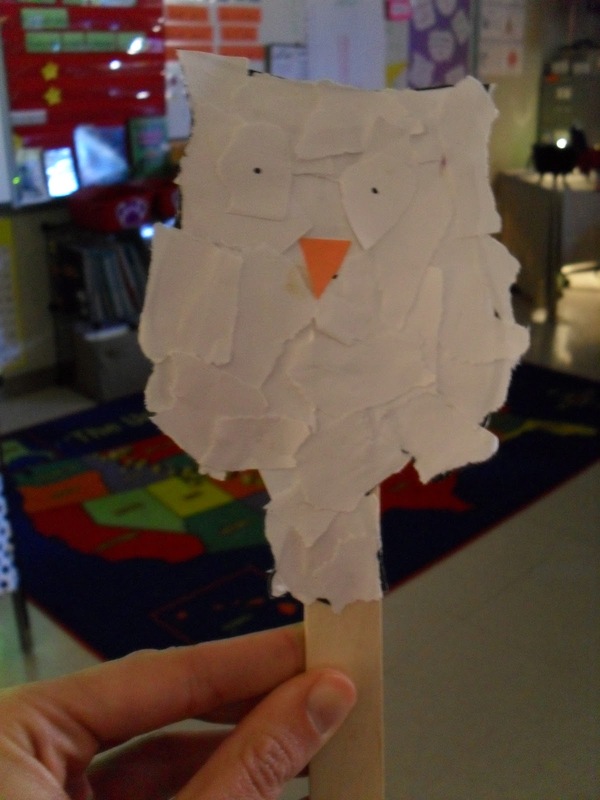 Your owl puppets are perfect for first grade! I got it from Scholastic's book warehouse sale. They may have it on their website.